We were inspired by the philosophy of a Nobel Peace Prize winning economist called Prof. Muhammad Yunus. Our founders Josh and Alice came across Prof. Yunus in 2011 when Josh started reading his book “Creating a World Without Poverty: Social Business and the Future of Capitalism”. In his book Yunus describes the idea of a ‘Social Business’, where he was creating businesses, but not for the traditional purpose of making money, but for solving social challenges. 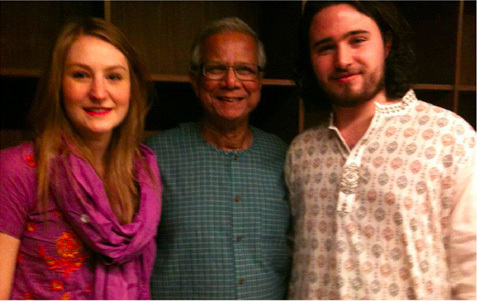 Josh and Alice became so inspired by this idea that they decided to fly to Bangladesh to meet with Yunus. They travelled to Dhaka in October 2011. In Bangladesh, they saw the various Social Businesses that Prof Yunus had created first hand. They visited businesses that Yunus has set up that tackled social problems such as the financial exclusion of poor women, malnutrition of children and blindness of the poor. 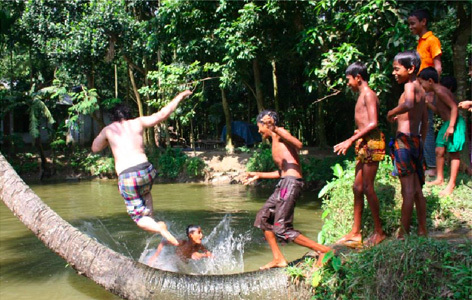 The efforts of this one man were literally changing the lives of tens of millions of people in his native Bangladesh. 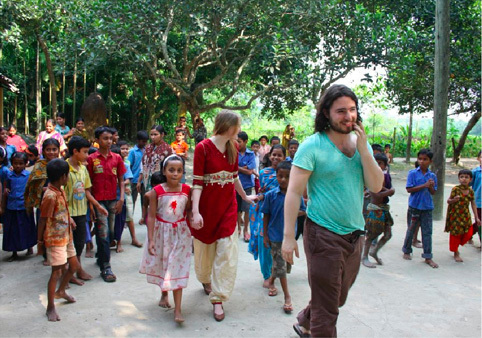 The experience Josh and Alice had in Bangladesh was life changing. 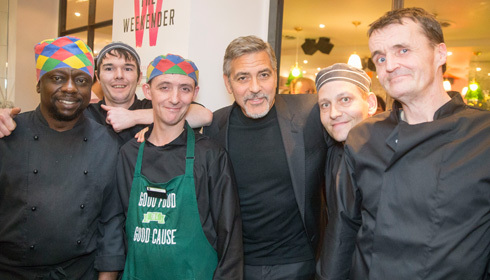 They returned so inspired by Yunus’ vision of a broader economic system, where business could be about so much more than maximising profits, that they decided to sell their events business and risk everything they had to set up a Social Business. No matter how big Social Bite grows . . . Neither Josh, Alice or any other individual will become rich from the business. It exists to achieve social objectives. 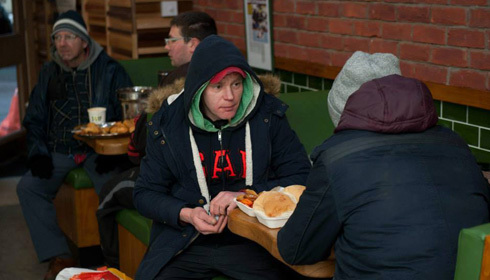 Simply put, we are cause a driven business, rather than profit driven.